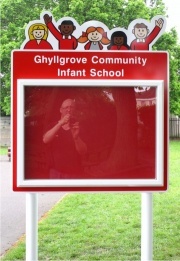 3mm (11g) aluminium sheet with sign rails to the rear supplied complete with suitable stainless steel fixings. 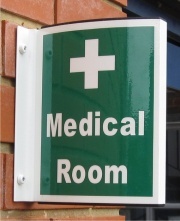 3mm (11g) aluminium sheet with sign rails fitted to the rear. 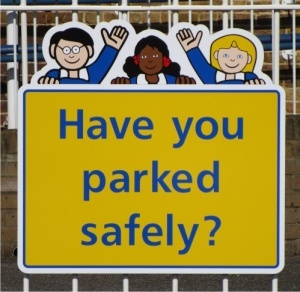 1 x 50mm diameter grey painted aluminium post 2,500mm in length. 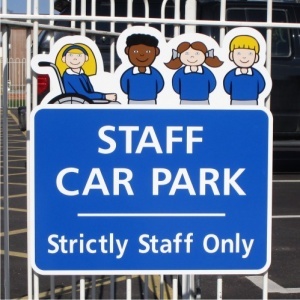 1 x post end cap, 1 x sub-surface anti-rotational base plate and stainless steel post fixing clips. 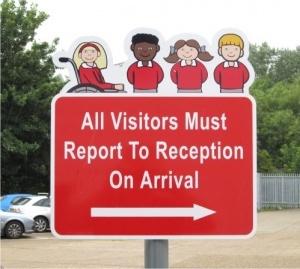 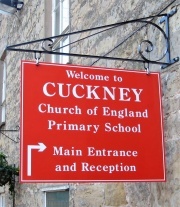 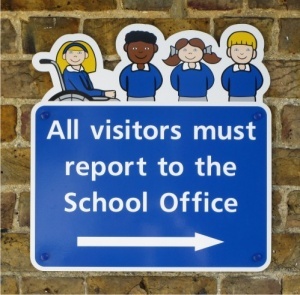 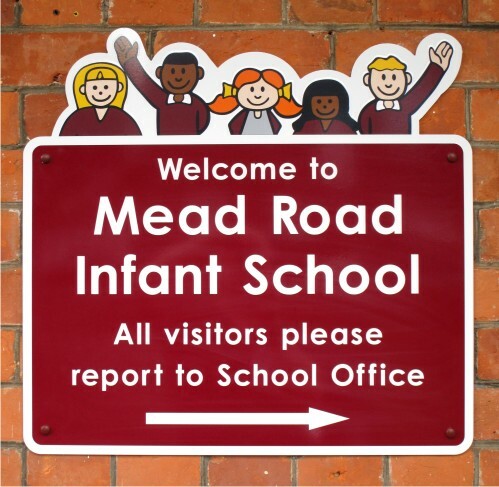 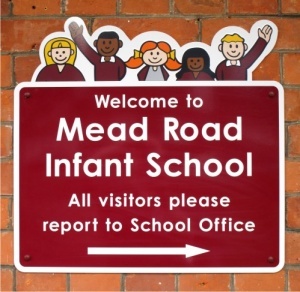 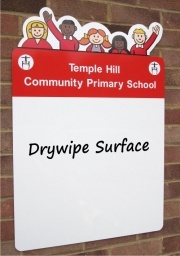 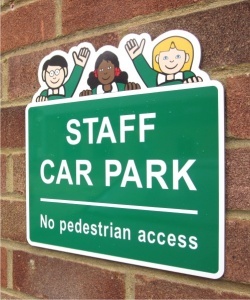 You can design your own Character school notice sign to suit your own particular requirements. 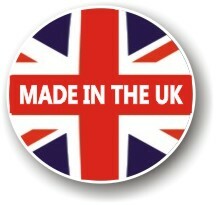 We offer a Free No Obligation Design Service where our designers will work with you to bring your ideas to life. 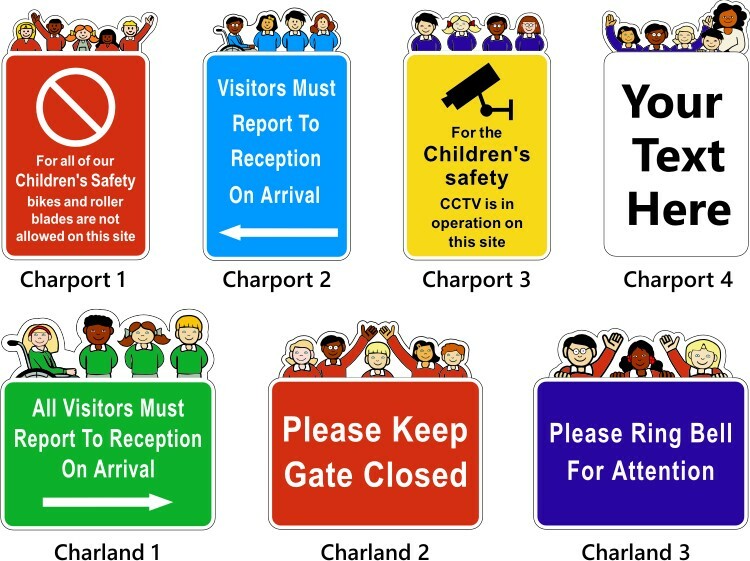 The images below show the 7 standard layouts. 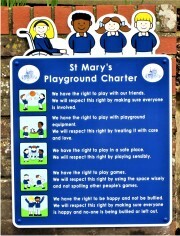 All we need from you is the colours you would like used and the wording.